Spent Sunday morning on the backside of Les Bois. Got a chance to see our nice two year old English Channel go for a gallop. Named him Saxon Lord. He is out of Thrill After Dark (Lyphaness). He is progressing well, though of course still awfully green. He has a good temperament and seems very willing. Everyone at the barn really likes him. Good luck with him Shergar! He is a pretty boy and he is by a solid sire. He looks like a winner to me. Turf races here he comes! Good looking fellow. Nicely bred with a very strong female family. Two 'Arc winners (Molvedo and Pearl Cap, the first filly to win the 'Arc and generally regarded as one of the the best fillies ever bred in France.) The influential sire, Cyane, is also part of this clan. Oaks Stakes winner, Sleeping Partner, and the Derby Stakes winner, Pearl Diver also trace to your guy's conduit mare, Rydal Fell. Love the sire. Grass should definitely be in his future. Really good pedigree. Great job. Best of luck and please keep us all posted as to his progress. Sherger, really happy for you. Your colt looks racy, his dam brings a lot to the pedigree, and the cross looks very sharp. I am in on several partnerships of English Channels, two at the track, one yearling, and some mares in foal. My partners and I like two-turn horses, and we snagged a couple of them in our price range plus the early stud discounted stud fees close to $5k were affordable. Our 3 year old who has just gotten to Churchill looks a lot like yours, bay and very similar body. She's late getting started due to a micro-fracture in her shin six months ago, but hopefully she will have been worth the wait. I am including a video link of the yearling filly and it would be interesting to me if you see any similarities. She is the one the camera focuses on from the middle to the end of the video. I haven't seen many of them, there aren't many English Channels in the sales. But the ones I have seen almost all seem to have a very pronounced shoulder and high wither, like yours. On a related subject, Our Channel just won the Investic Derby Trial yesterday, and punched his ticket to the Epsom Derby in June. Sherger, I will be following Saxon Lord with interest, and hope he has a stellar career for you. Saxon will make his career bow tomorrow in the 1st race at SA. It is a Maiden 40k going 5 1/2 furlongs. Most likely not his preferred surface or distance. But he really needs to get a race under his belt. Sherger I so hope he has a good trip and learns the right things his first out. Not too many E Ch's win their debuts, but there was one at Gulfstream this past weekend who did it. Not an easy thing to do even for more precocious pedigrees. I hope your colt finishes in one piece and if he closes strong that would be a great beginning. Then the distances and surfaces he prefers will start coming into reach. Good luck!!!!!!!! I looked at the video link of your English Channel filly. He definitely put his stamp on her, which is odd as thus far EC seems to throw to the mare. She does have a nice way of moving. Has she been named? If so, I would like to add her to my stable mail and keep track of her. Also you mentioned a 3yo, (now 4yo) that had a micro fracture. How is she doing? Saxon's dam had some serious sprint speed, (that she was able to carry into routes) so there is a part of his makeup that suggests he may be able to hold his own in a sprint. Thrill ran second in her debut, and won her second out, both times sprinting. I'm way over-invested in English Channels, so really hope our mares will click with him. The first home-bred is 2, her name is Atlantic Blue (see first link), then a yearling which died, and the next two are foals just born (see second link on one of them). We've gotten the stud fee for an average of around $5k to $8k due to supporting E CH and when he wasn't entirely proven, though don't think we could now. Of the ones I bought, one has been a solid allowance type, and the other we sold after the micro-fracture in her shin and other delays. I think she's had a couple of starts with her new owners, unplaced as yet. I will be excited to see Saxon's race for sure. Really looking forward to it and wish you huge success with him. After hardly running a step in So. Cal sprinting on the dirt in maiden 40-50k company, we shipped Saxon Lord up to Golden Gate and got him in a Maiden Special going a mile and sixteenth on the grass. Saxon drew the one hole, (ugh!) but it didn't really matter as his jock hustled him out and set all the fractions and we won it by a desperate nose from a fast closing colt ridden by R. Baze and trained by Mandella. Odd that an English Channel colt out of a Lyphaness, (by Lyphard) mare that did her best running on the grass would wake up and win on his first try on the grass. Could someone explain that one to me? If you are expressing dry humor, I get it. An English channel out of a turf leaning Lyphard mare would come out of a coma if shown a turf course. So happy for you !!!!! Congratulations on a msw win, it's a cause for celebration anywhere. English channels are not normally precocious and it seems they need a few starts to wake up, dirt or turf. But once they wake up they can be a lot of fun. 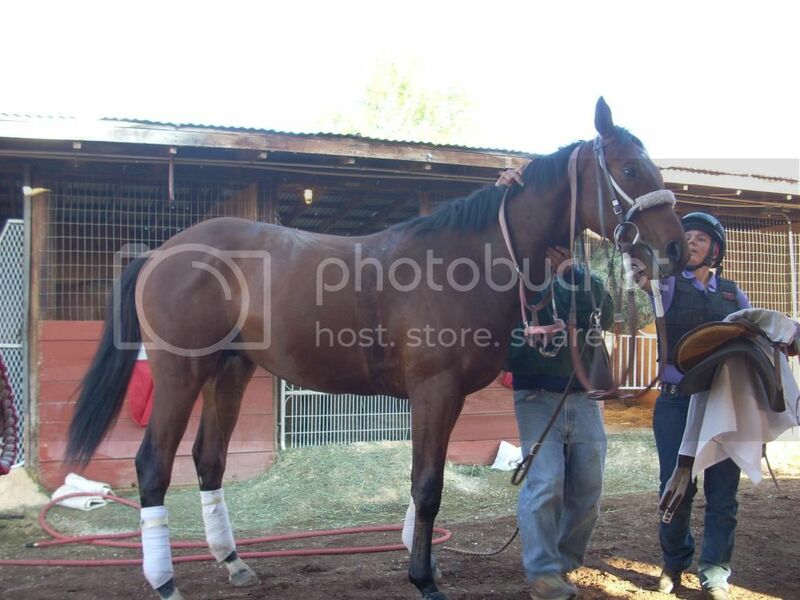 I hope this colt is true to form and gets better as he ages/stretches out. Dry humor, sarcasm etc. You nailed it. This site needs one of those face palm emogees, or what ever they call it. I believe if we keep him going long on the grass we will see the winners circle on a frequent basis. Got Atlantic Blues first work yesterday. Hoping she works out well for you. I'm with you in I love EC as a sire.